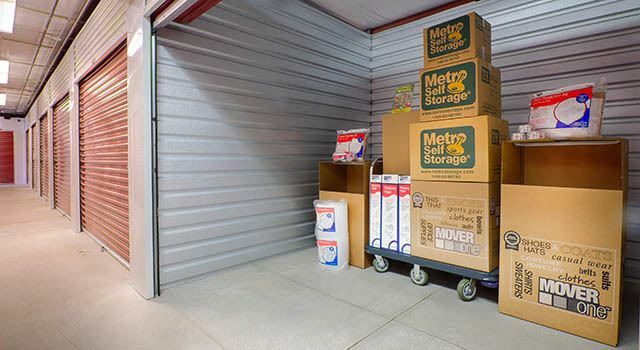 Metro Self Storage offers a wide selection of climate-controlled storage units for rent in North Wales to meet your business and household storage needs. Whether you want to free up closet space, reclaim your garage, or organize for the holidays, you can count on Metro’s top-notch storage team to offer great storage tips and advice for your storage needs. Climate-controlled storage units come in a wide variety of sizes ranging from small first-floor 5X5 units all the way up to large 10X30 climate-controlled units that do double duty as commercial units for our business storage customers. These large units are also ideal for storing temperature-sensitive household items. What types of items are typically stored in a climate-controlled storage unit in North Wales, Pennsylvania? Personal and Household Storage: Metro Self Storage is conveniently located near shopping destinations, schools, and major employers, such as Merck Pharmaceuticals, so that climate-controlled storage units are always convenient for individuals and families. These units can hold the contents from a one-bedroom apartment to a large five-bedroom house, and anything in between. Montgomery County Medical and Law Offices: Store tax records, medical records and patient files, invoices, materials and even equipment in a clean, climate-controlled storage unit. Merck Pharmaceutical Sales Reps: Store temperature-sensitive products, samples, and inventory in a climate controlled storage unit with multiple layers of security features and professional customer service. Contact our Property Manager today to discuss the items you plan to store and learn more about your options for climate-controlled storage in North Wales, Pennsylvania.